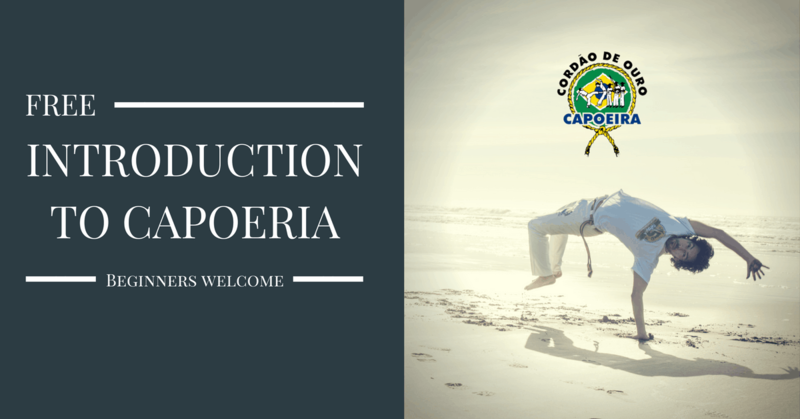 WHAT IS THE INTRO TO CAPOEIRA CLASS? Our introduction to Capoeira class is a FREE class that we host on a regular basis to introduce the art of Capoeira to the community. It is open to anyone who wants to come and is accessible to people of all fitness levels. During the class we’ll go over what Capoeira is, its benefits, hold a full length class, and be there to answer any questions after the class is over. If you’re interested in further classes, we’ll also be there to assist you with that. Whatever clothing you would wear to the gym and are comfortable sweating in is perfect. And water, if this is your first time, definitely bring some water. Registration is easy! Just announce that you’ll be going on Facebook and you’re good to go. Don’t forget to sign the waiver!